L@L: Homeschool Mothers "We All Have Moments"
We hope you enjoy this interview from the past as Leigh Brotins interviews Becky Dunlop, Vice President of External Relations at the Heritage Foundation. 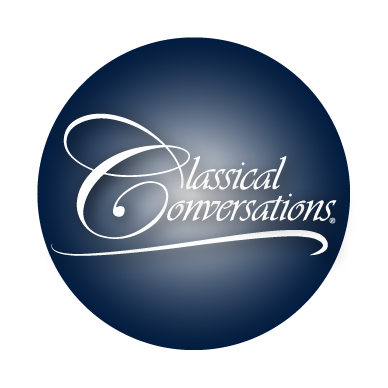 Over the years, Classical Conversations has established a strong relationship with the Heritage Foundation. "The Heritage Foundation is one of the nation’s largest public policy research organizations. More than 710,000 individual members make it the most broadly supported think tank in America." We are excited to have Vice President Dunlop on the show this week to help you learn more about the Heritage Foundation. We hope you enjoy this wonderful conversation from the Leigh! @Lunch archives. Leigh Bortins interviews Douglas Wilson about Classical Christian Education. Douglas Wilson is the Pastor of Christ Church in Moscow, ID. He is a strong supporter of the Classical Christian model and wrote the books Recovering the Lost Tools of Learning and The Case for Classical Christian Education. Listen in to this exciting episode from our L@L archives as Leigh Bortins interviews Martin Cothran! Martin is the author of Traditional Logic, Books I and II, as well as Classical Rhetoric with Aristotle, both published by Memoria Press. He is also Latin, logic and rhetoric instructor at Highlands Latin School in Louisville, Kentucky and is Master Teacher at Mars Hill, Lexington. In addition to being editor-in-chief of Classical Teacher magazine, he serves as senior policy analyst for The Family Foundation of Kentucky, where he directs legislative and media relations and is a frequent guest on political and cultural issues on radio and television in his home state of Kentucky. He holds a B.A. in economics and philosohpy from the University of California, Santa Barbara, and an M.A. degree in Christian Apologetics from the Simon Greenleaf School (now part of Trinity University. He lives with his wife and four children in Danville, Kentucky. You are sure to enjoy this fantastic episode as Leigh Bortins interviews president of Foundation for Economic Education. This episode aired in 2011. Lawrence W. Reed became president of FEE in 2008. He was a founder and president for twenty years of the Mackinac Center for Public Policy in Midland, Michigan. A champion for liberty, Reed has authored over 1,000 newspaper columns and articles, 200 radio commentaries, dozens of articles in magazines and journals in the U. S. and abroad, as well as five books. His articles have appeared in The Wall Street Journal, Christian Science Monitor, USA Today, Baltimore Sun, Detroit News and Detroit Free Press, among many others. His interests in political and economic affairs have taken him as a freelance journalist to 69 countries on six continents. Lawrence W. Reed holds a B.A. degree in Economics from Grove City College (1975) and an M.A. degree in History from Slippery Rock State University (1978), both in Pennsylvania. This Leigh@Lunch episode is hosted by Matt Bianco and includes the wonderful guest John Hodges. We hope you enjoy this episode as Matt and John talk about music, the arts, and the Quadrivium. Hodges is a conductor and composer, holding degrees in Music from the University of Maryland, and Indiana University. He served as Music Director for various symphony orchestras and church music programs in Memphis from 1983-2009. He also held the position of Associate Professor of the Arts and Cultural Apologetics at Crichton College where he taught art and music history, philosophy of the Christian Faith, directed theater, and founded and directed the Institute for the Arts and Cultural Apologetics. Join Leigh Bortins as she sits down with Thomas E. Woods. Woods is the New York Times bestselling author of 11 books. A senior fellow of the Ludwig von Mises Institute, Woods holds a bachelor's degree in history from Harvard and his master's, M.Phil., and Ph.D. from Columbia University. Woods has appeared on CNBC, MSNBC, FOX News Channel, FOX Business Network, C-SPAN, and Bloomberg Television, among other outlets. We hope you enjoy the audio! Join Leigh! @Lunch this week as Matt interviews Wesley J. Callihan about the Astronomy and the Quadrivium. Wesley J. Callihan is the Founder and Tutor of Schola Classical Tutorials. He grew up on a farm in Idaho and graduated in History from the University of Idaho in 1983. He has taught at Logos School, the University of Idaho, and New St. Andrews College in Moscow, Idaho, and at Veritas Academy in Lancaster, Pennsylvania. He has written curriculum for several ACCS and other Christian schools, such as Great Books study guides, and speaks regularly at Classical Christian education conferences for home educators and private schools, and teaches summer intensive Latin courses. He has written columns and short fiction for Credenda/Agenda and Antithesis, and contributed to the book Classical Education and the Home School, (published by Canon Press). We are excited to have Wesley J. Callihan on this week's show and we hope you join the conversation to learn more about astronomy and its importance to classical education. Join Leigh! @Lunch in this episode as Leigh interviews Andrew Kern on the Liberal Arts and how to be a better teacher. Andrew has been directly involved in the establishment of three classical Christian schools, has trained teachers in over 50 states since 1996, and has been directing the CiRCE Institute full time since the summer of 2000. Join Leigh! @Lunch in this episode as Matt Bianco interviews Nancy Pearcey on worldview and the Arts. Nancy R. Pearcey, editor-at- large of The Pearcey Report, is scholar in residence and professor at Houston Baptist University. She is also a fellow at the Discovery Institute. Join Leigh! @Lunch in this episode as Matt Bianco interviews Pastor Steve Wilkins about Advent, Christmas, and the Saints. Steve Wilkins has served as the pastor of Auburn Avenue Presbyterian Church of Monroe, Louisiana since 1989. Pastor Wilkins is the author of Face to FAce: Meditations on Friendship & Hospitality, Calll of Duty: The Sterling Nobility of Robert E. Lee, and All Things for Good: The Steadfast Fidelity of Stonewall Jackson. Please join Leigh@Lunch today as Leigh interviews Christopher Perrin on Classical Education. Dr. Perrin is a wonderful influence on the revitalization of an educational tradition still in need of recovering. The conversations will include Dr. Perrin's work with Classical Academic Press, Alcuin Fellowship, and his work with the Society for Classical Learning. Dr. Perrin is the vice-chairman for the Society of Classical Learning. Join Leigh! @Lunch in this episode as Leigh Bortins interviews author James D. Nickel mathematics and the Quadrivium. James D. Nickel is the author of Mathematics: Is God Silent? and Lift Up Your Eyes on High: Understanding the Stars. Join Leigh! @Lunch in this episode as Leigh Bortins interviews Dr. Veith about the heritage of Christian education. We hope you enjoy this audio to be encouraged and equipped to pursue education with more integrity. Christians no longer can imitate the culture in the "Christian way", but must lead in being biblical Christians. In this episode Leigh interviews former Governor of Arkansas Mike Huckabee. The episode is from 2008. Please join Leigh! @Lunch this week as Leigh interviews Anthon Esolen, author of 10 Ways to Destroy the Imagination of Your Child. Anthony M. Esolen is a professor of English at Providence College and translator of classic works, as well as writer for magazines including the Claremont Review and Touchstone, of which he is a senior editor. He has translated Dante's Divine Comedy, Lucretius' On the Nature of Things, and Torquato Tasso's Jerusalem Delivered. We are excited to have Dr. Esolen on this week's show to talk about his book, 10 Ways to Destroy the Imagination of Your Child. Join Leigh! @Lunch this week as Leigh interviews author, Stanley Fish as they discuss his most current book, How to Write a Sentence: And How to Read One.His essays and articles have appeared in The Chronicle of Higher Education, Harper's Magazine, Esquire, The Atlantic and The New York Times. Mr. Pudewa is the director of the Institute for Excellence in Writing and a homeschooling father of seven. Presenting throughout North America, he addresses issues relating to teaching, writing, thinking, spelling, and music with clarity, insight, practical experience, and humor. Andrew Kern is president and founder of the CiRCE Institute. He graduated from Concordia University in Milwaukee, Wisconsin where he was mentored by Dr. Gene Edward Veith and was graduated with a BA in Liberal Arts. Shortly afterward, Dr. Veith and Andrew co-authored the best-selling Classical Education, The Movement Sweeping America, now in its second edition. Andrew has been directly involved in the establishment of three classical Christian schools, has trained teachers in over 50 since 1996, has consulted with still more on institutional development and start-up, and has been directing the CiRCE Institute full time since the summer of 2000. James B. Jordan (born 1949) is a theologian and author. He is director of Biblical Horizons ministries, a think tank in Niceville, Florida that publishes books, essays and other media dealing with Bible commentary, Biblical Theology, and liturgy. Jordan currently works at Theopolis Institue in Birmingham, Alabama lecturing and serving on the board.